With a new research paper released in February 2019 revealing new insights into the 'violence in video games' debate, Marc Matt and John wipe the smiles off their faces and have a serious discussion on the topic. Of course, that's not entirely true because we have far too many uneducated opinions and conjecture to remain completely straight down the line... But hey, we tried. Marc, Matt and John get stuck into a bunch of reader feedback including more Cary's than you can throw a flaming soul at! Plus we talk about Google Stadia, Apple Arcade, MegaDrive Mini, and the new Black Knight Sword of Rage pinball! iTunes, Stitcher, and Google. Obscure games much? Well, maybe not entirely. While John's been travelling down the well shot path of Galaga (Galahgar), Matt plays programming (?) and Marc gets all excited about a game no one's heard of using Google Translate. 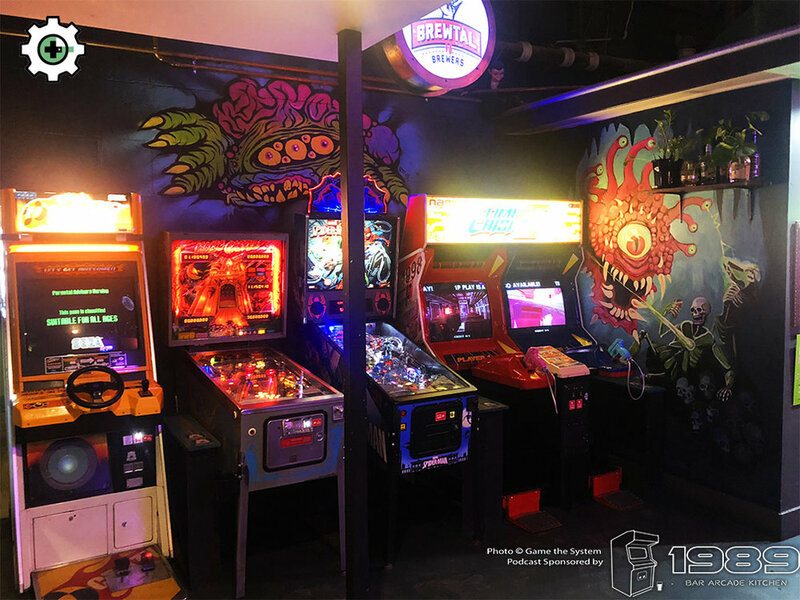 Podcast Episode 34 - We Play The New Munsters Pinball Machine, and Pinball Arrives at 1989 Arcade Bar! 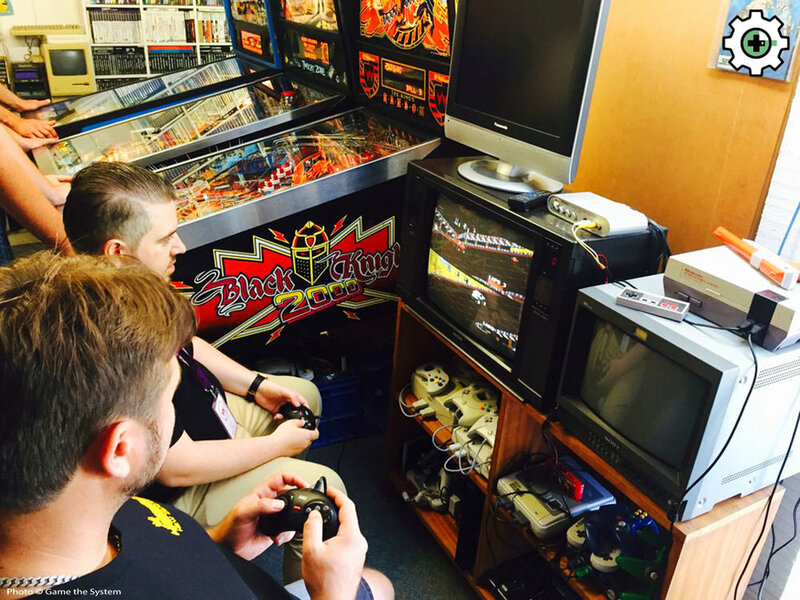 On this episode of Game the System podcast, Marc Matt and John talk a boat load of pinball! Including impressions of the brand new Munsters pinball machine from Stern, the news that 1989 Arcade Bar is getting three pinball machines, Link's Awakening remake (not a pinball machine), a new Australian number 1 ranked pinball player, and EVO Japan 2019 (also not pinball)! Marc Matt and John are back to discuss listener feedback, motion sickness in games, co-op and couch games, Overcooked, and impressions of the new Beatles pinball machine from Stern! Podcast Episode 32 - Resident Evil 2 Remake, The Walking Dead Pinball, Oculus Rift, Beat Saber, and Super Hot! Podcast Episode 32! Marc Matt and John play games that are... less than 10 years old? Not retro? Crazy times! Cats, dogs, living together... John gets stuck into and finishes Resident Evil 2 Remake, Marc becomes addicted to The Walking Dead pinball machine, despite his waning obsession with the steel ball. And Matt turns his house into a giant VR Experience Lab(tm), and loses himself in the Matrix, or Tron. Daft Punk? What's going on again? Marc Matt and John celebrate a new Twin Galaxies World Record holder on Kaboom! for the Atari 2600. John plays some Wonder Boy Dragons Trap remake on Switch and Sega Heroes on mobile. Matt creates magic with a custom EEPROM programmer, and Marc gets into some Forza Horizon 4 on the Xbone. We're back in episode 29! Marc Matt and John chat about the recent Awesome Games Done Quick 2019 speedrun charity event. Plus the newly announced Munsters pinball machine from Stern, including The Beatles and Primus retro inspired pinball machines. Then they get into some tabletop action with Star Trek and Star Wars Attack Wing, as well as The Resistance and Avalon tabletop games. Podcast Episode 27! 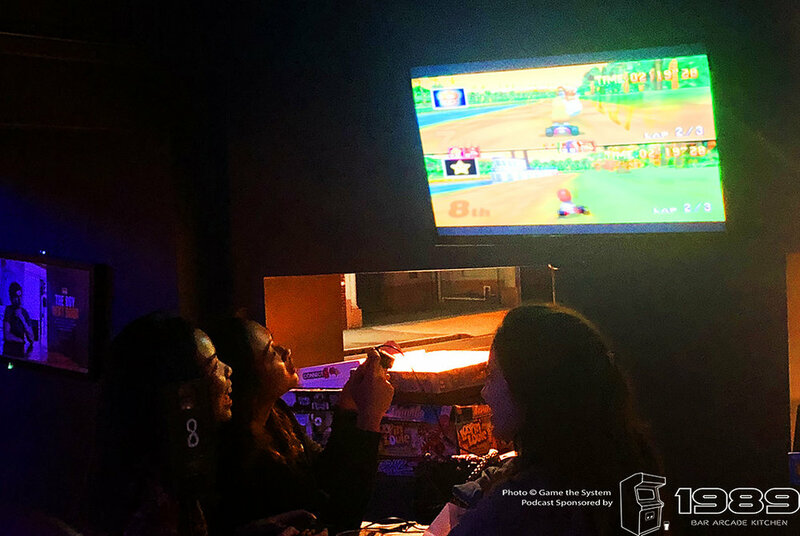 Kong Off II - Donkey Kong at Netherworld Barcade, Q-Bert Victory, ZBall Pinball League Final, Kaboom, and More! Podcast Episode 27! John has a baby (congrats John!). Marc and Matt head up to Brisbane for the awesome Kong Off II tournament at Netherworld barcade, as well as get soundly beaten in the Z-Ball Pinball League Final in Sydney. We also chat about high level play in Ghouls'n Ghosts, and Kaboom! Controllers are frustrating! Podcast Episode 26: The Best Gameboy Advance Game Part 2 - The Number 1 Game is Declared! Podcast Episode 21: Why Do We Play Retro? We Tackle this Contentious Topic! Plus PAX Aus 2018, and Streets of Rage 4 Announced! Why do we play retro games? Are we stuck in the past, or is there more to it than just experiencing that pang of nostalgia? We tackle this contentious topic and explain our own reasons for playing classic games! Oh, and PAX Aus 2018 is here! Now! We throw our 9 nominations for the best Game Boy Advance game into the ring - including Benn Banasik's 3 choices! We also talk about what we've been doing in gaming, including Ghouls n Ghosts speedruns, Tekken 2, and River Raid TE... patches? No, not those sort of patches, patches! Podcast Ep 18! T-Shirt Giveaway Winners! The Capcom Beatemup Bundle, Nintendo Switch Online Service, Sony Playstation Classic Mini, and More! Game the System Podcast Episode 18! We announce the winners of our amazing T-Shirt giveaway, courtesy of Amusement Machine Distributors! We also talk about the newly released Capcom Beat-em-up Bundle, our thoughts on the Nintendo Switch Online service, and the Sony Playstation Classic Mini, and more! Ep 17: T-Shirt Giveaway! River Raid TE Done? Twin Galaxies Record, Starcraft, Critical Hit and Walking Dead Pinball, Soulcalibur, and More! Game the System Podcast Episode 17! Fantastic T-Shirts to give away to you, the readers (http://gamethesystem.co/forum/?p=post%2Ftshirt-giveaway-tell-us-the-next-podcast-battle-to-win-9848844%3Fpid%3D1305459465)! Is River Raid Tournament Edition finally done? A new Twin Galaxies record is born on Ghouls'n Ghosts. John gets involved in a Marvel Fantasy League, and plays Soulcalibur II and Alien Trilogy. Matt watches too much Starcraft, and we play in the first Critical Hit pinball tournament in Sydney! Ep 14: Interview with Netherworld Bar Arcade's Jimmy Nails. 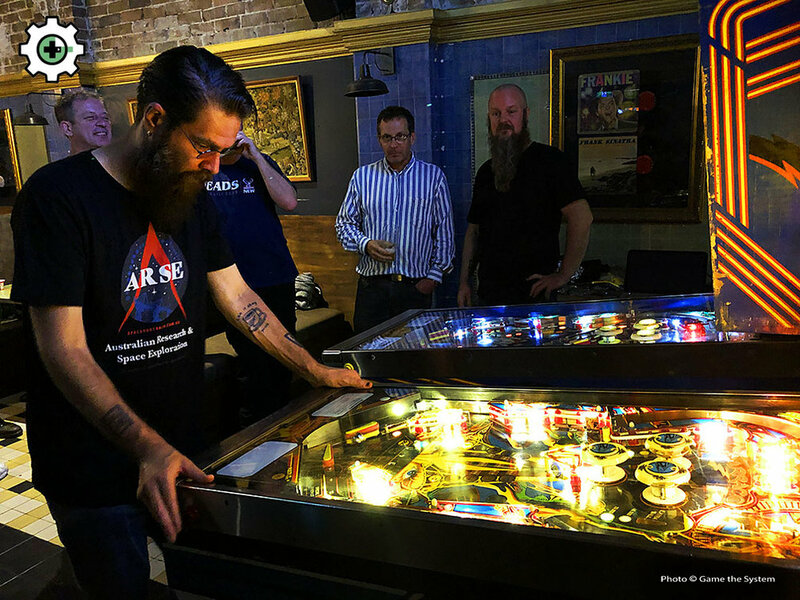 Full Wrapup of 2018 Brisbane Pinball Masters. Sonic Mania Plus. We Eat 30 Year Old Donkey Kong Bubble Gum! 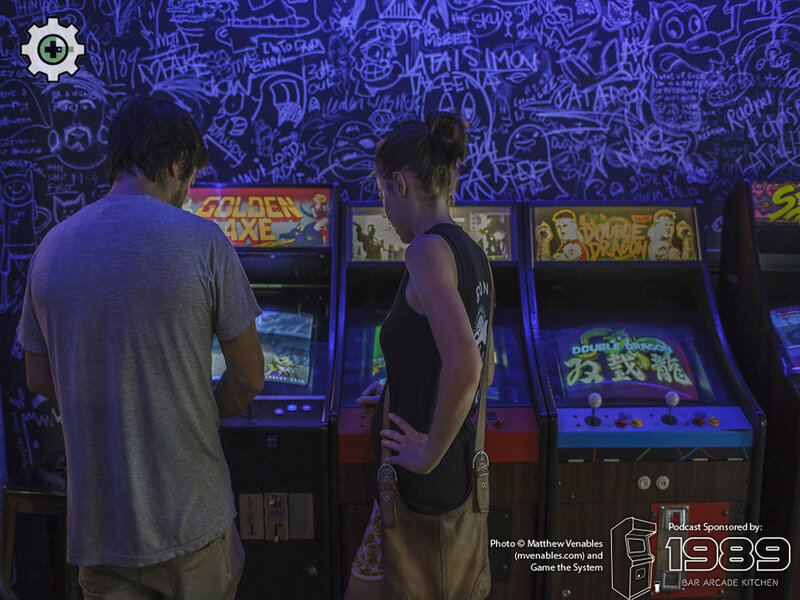 We interview Jimmy Nails, co-owner of the amazing Netherworld Bar Arcade in Brisbane. 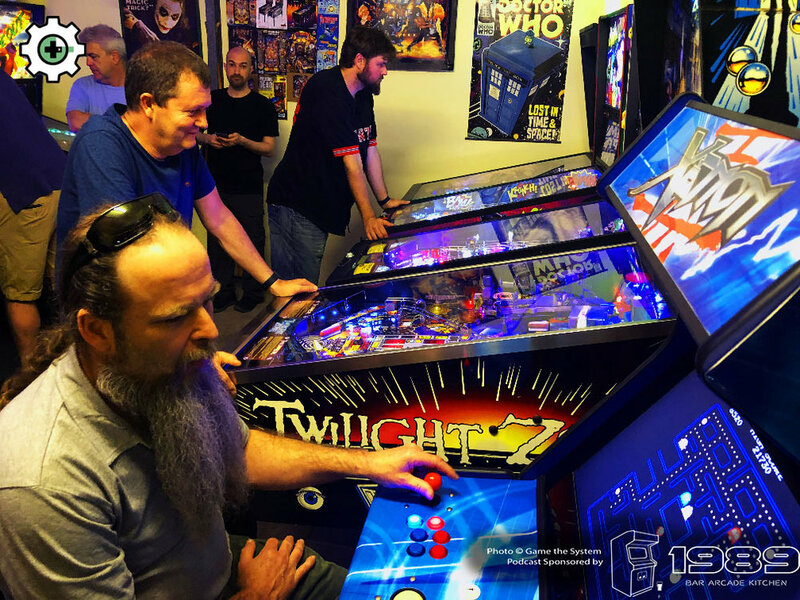 Marc provides an in depth rundown of the 2018 Brisbane Pinball Masters. John's been playing Sonic Mania Plus on the Switch. And we all eat (and presumably survive) 30 year old Donkey Kong bubble gum! We battle it out to decide the best game released in the year 1989! We also talk about playing Bubble Bobble for the Ten Pence Arcade Podcast competition, Marc finishes Bayonetta 2, Matt plays Opus Magnum, and John gets a taste of Super Monkey Ball on the GameCube! Ep 12: We play Iron Maiden Pinball, the Battle of the Best Game of 1989, Sega World Sydney, Bayonetta, Batman Returns, and Gauntlet Dark Legacy! Game the System Podcast Episode 12 sponsored by 1989 Arcade Bar and Kitchen (1989.com.au). Marc, John and Matt have chosen the next battleground - the best game released in 1989! We all play and discuss the new Stern pinball machine Iron Maiden. There's reminiscing about the Sega World amusement centre in Sydney's Darling Harbour. Marc and John are playing through Bayonetta 2 (and John finishes Bayonetta 1), plus much more including Batman Returns on the Mega CD, and Gauntlet Dark Legacy! Ep 11: We Decide the Best Beat-Em-Up Game of All Time! Bloodstained Curse of the Moon Review, Sega Mega Drive Classics, and Deadpool Pinball Leaked Pictures! Game the System Podcast Episode 11 sponsored by 1989 Arcade Bar and Kitchen (1989.com.au). Marc, John and Matt battle it out and decide the best beat-em-up game of all time! Marc reviews Bloodstained: Curse of the Moon. We talk about John's pickup of a Sega MegaCD, the newly released Mega Drive Classics, Matt updates us on his progress with River Raid Tournament Edition, and we talk about the leaked pictures of the new Stern pinball machine Deadpool!